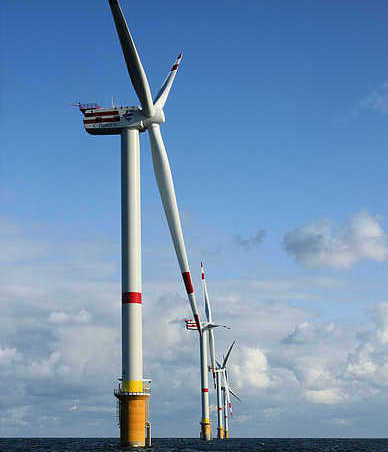 In Württemberg, Germany, an experimental installation of wind turbines is under construction. It uses water to store energy so that in times when there is no wind, the energy stored in the water can be used to generate the electricity. The idea is the same as in traditional hydroelectric power stations that are used to produce electricity at short notice when it is needed, however, the water is stored locally with the turbines themselves.